It's not been out that long - but I thought I'd give a tip of the hat to readers who might not have tried out Tales of Wonder yet. 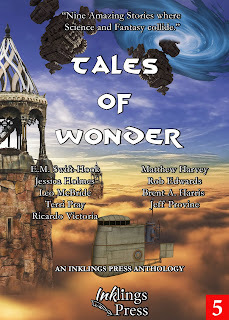 Tales of Wonder is a collection of science fantasy tales - including my story The Last Sorceror. So what's science fantasy, I hear you say? Well, it's that strange and heady brew where science fiction and fantasy collide. You may have heard of some examples of it - such as Star Wars, where knights with laser swords and magical powers do battle with one another. Or Avatar, where beings mystically in tune with their world fight off invading spacefaring humans. There are lots of other examples - I like to think of Edgar Rice Burroughs kicking it all off over in Barsoom. That's Mars to you and me. I'm biased of course, but the stories in here are great. It's a privilege to be alongside the likes of Rob Edwards' tale of spacefarers navigating the universe using magic to get to their destination - or Jeff Provine's marvellous mix of Inuit mythology and out-on-the-edge-of-a-black-hole sci-fi goodness. There's more myth in E.M. Swift-Hook's Changeling Child - but are the spirits in there truly creatures of myth or remnants of science? Ricardo Victoria launches full throttle into a manga tale of giant robots and alien conjurers, while Terri Pray gives us space to breathe... gives us a moment's grace, you might say, in a story titled Grace, about a bodyguard with secrets she must keep as safe as the man she's guarding. 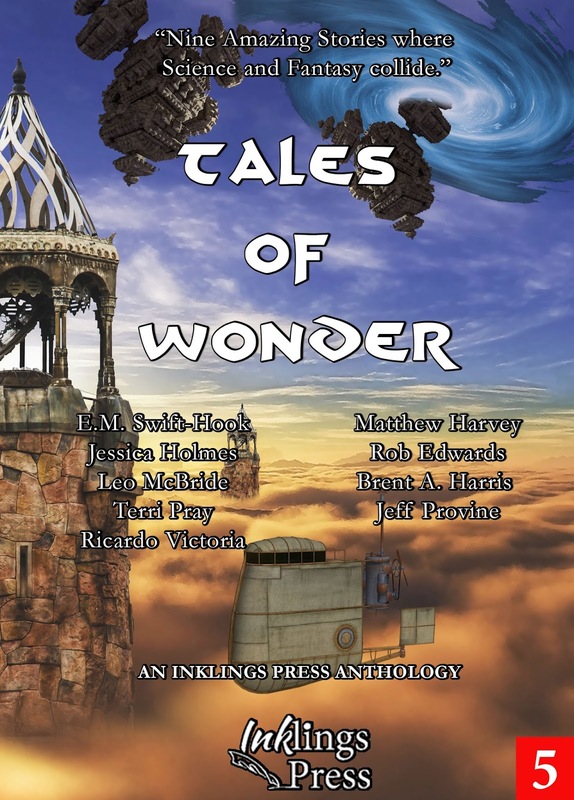 Matthew Harvey and Jessica Holmes bring a flavour of steampunk to their tales, with zeppelins and sky pirates lurking in their stories - and Brent A. Harris tells a tale of time travel with more than a hint of Dickens to it. It's been very well reviewed - from Amazing Stories magazine to Vine Voice reviewer Darcia Helle - and in a lot of ways I think it has a broader range than our biggest success so far, Tales From Alternate Earths. So give it a whirl, you know you want to!